COME RUN THE BANNER WITH US!! Everyone on the Run Clare committee is dedicated to running; we all love it! 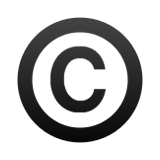 We have all been involved in the sport one way or another for most of our lives. We live it and breathe it. One sunny day in 2014 we had the brain wave of encouraging everyone to share our passion for the sport and created our amazing series. 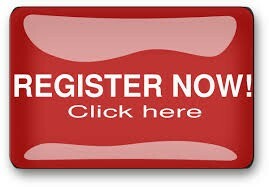 The 5k will be in East Clare, it'll be a great way to start the journey around the country lanes. The 5 mile will take us to Barefield, where the route will take you past beautiful Ballyalla Lake. 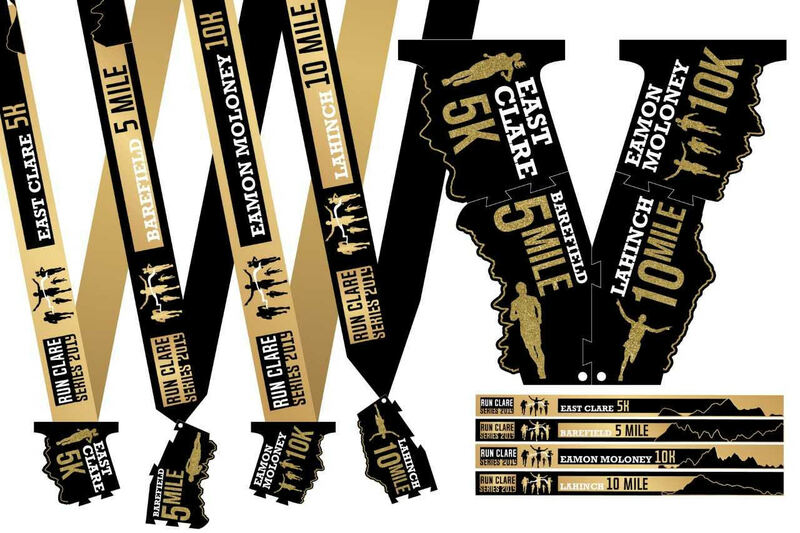 To Ennis for the Eamon Moloney 10k, where the urban location is known for its family atmosphere and fast, flat route. 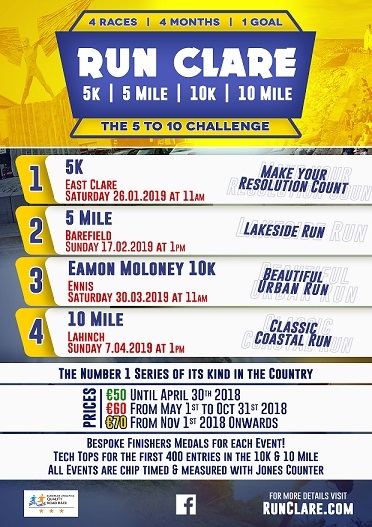 Finally we are heading to West Clare and stunning Lahinch for the 10 mile, you'll have spectacular views over Atlantic Ocean in your last event. We all start together but we may not all finish together, what matters is that we all have achieved something incredible as an individual. Where else would you get 4 races over 4 months with all the trimmings you know we do?? 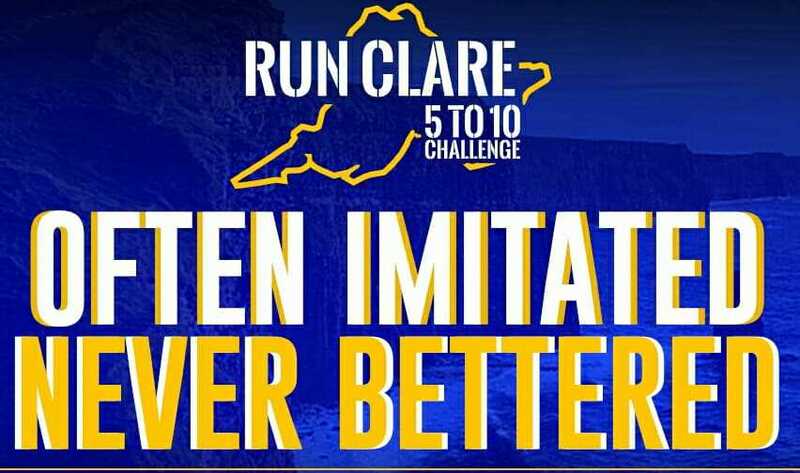 in 2018 we had over a 1000 runners from 19 counties attend the series, lets get the whole of Ireland coming to Clare and prove that the Banner know about races! 4 races. 4 months. 1 goal.